Where movies and my ego meet. Works both as implicit criticism of Gladiator's historical whitewashing and as a moving sword-and-sandals adventure in its own right. I still haven't seen The Last King of Scotland, but Macdonald's State of Play built a startlingly intimate atmosphere for a conspiracy thriller, beginning with personal relationships and working outward to ideas about image, idealism and preservation. The Eagle accomplishes much of the same. While, sure, it's a movie about Channing Tatum as a red-blooded imperialist Roman centurion setting out to restore his father's name and recover an important symbol of the fallen Ninth legion, it never shies away from difficult questions about the uncomfortable morality of the plot (the sort of thing that Gladiator's muddled, atrocious opening sequence cheerfully ignored). That Tatum's violent patriot is contrasted throughout the film with Jamie Bell's idealist slave is nothing groundbreaking in itself, but I can't think of a more successful example of character's clashing ideologies working themselves out through physical and emotional conflict. Macdonald never settles for pat solutions either; when one shot displays an obvious dualism (black horse/white horse, violence/innocence), the very next creates a refreshing ambiguity. It doesn't hurt, either, that said shot fails to stand out too much from the rest of the many gorgeous framings on display. Few recent films have incorporated hazy/dreamy flashback images so well, and credit goes to DP Anthony Dod Mantle, of Von Trier's Antichrist. Macdonald's treatment of culture begins and ends with near-miraculous moments of poetry; an early, whispered prayer by Tatum in a dimly lit room sets up a wordless prologue to the final battle scene, which brings the literal symbolism of the Eagle into physical immediacy. Again, while the apparent attempt to create a rousing victory at the end of the film may seem to negate the complexity of what's gone before, the scene ends with an act of violence that simultaneously avenges a prior killing and deeply unsettles the viewer, all thanks to the filmmakers. No moment of classical Hollywood triumph is left unspoiled, and Macdonald's willingness to confront these issues head on, rather than ignore them and make the one-dimensional "epic" film he's so clearly capable of, is invigorating. The film doesn't quite resolve its two warring ideologies, but it's a movie, and any clear attempt to do so would seem over-simplistic. While I enjoyed Refn's previous two features, Bronson and Valhalla Rising, something nagged at me about them both. One could accurately sum up Refn's style as "cool for cool's sake" (as a friend once did), and although it's difficult to deny the visceral thrill of Valhalla Rising's punk-rock Tarkovskian style, it gives the distinct impression of Refn as an enormously skilled cinematic fetishist. Like Kael said about Spielberg, he's a "born director"...but can he do more than entertain? Drive answers with an emphatic "Yes." Unlike those other two films, the roots of his new neon-noir lie in American genre movies, although Refn works not to contribute to the tradition, but gives an outsider's perspective. Ryan Gosling's unnamed protagonist works as a stuntman, performing car chases and crashes, while moonlighting as a getaway driver for faceless crooks. Most noir movies contain characters who define themselves by attitudes and personalities they've seen in the movies, but the Driver is different. He doesn't talk much, and therefore doesn't talk about movies, or go to them. He knows only the stunts, the crashes, the explosions, the violence; so when he meets a woman (Carey Mulligan) he's able to care about for the first time, his emotions are manifested in acts of gruesome violence - for which he finally has motivation. Some have criticized the choice of song which plays over the final shot as being too on-the-nose, I would say that the extreme ambiguity of what has gone before lends the song's lyrics ironic meaning. Refn, while gifted, is a single-minded filmmaker, and so to go into an analysis of the film's various striking scenes and images would be largely redundant. I do want to mention, though, that while I was most looking forward to Albert Brooks' appearance as a brutish gangster (and he doesn't disappoint), my favorite performance in the film came from his partner, Ron Perlman, as the Jewish thug Nino. His long, toothy face fits perfectly in the surreal world of Refn's L.A., and his character more than any other (even Bryan Cranston's sympathetic Shannon) is tinged with real sadness and frustration, amplified by the intriguing distance with which Refn shoots his final scene. Boetticher’s purest exercise in tension-building, at least of the films I have seen, and all the more worthwhile for the masterfully executed anticlimax. Some might consider the “philosophizing” too on-the-nose, but this is a tired and irrelevant complaint in a genre so often praised for brash stylization (at least of the Spaghetti variety). I don’t recall how gender roles functioned in the other three Boettichers I’ve seen (Seven Men from Now, Ride Lonesome, The Tall T), but this film offers a rewarding reversal of classical Hollywood sexism - most often, female characters are defined solely by their relationships with men; in Decision at Sundown, Allison and Kimbrough’s differences are marked most pointedly by their perspectives on women. “I understood women better than he did,” remarks Kimbrough. For all his destestable qualities, by the unresolved conclusion, it’s hard to disagree. The most fascinating moment in the whole film comes on the tail end of a whole lot of brutal, cartoonish unpleasantry (which I'll get to later) when a bathrobed Alex sits eating dinner in the home of his wheelchair-bound former victim, unaware that his host has just discovered his identity. Seething with rage, he barely keeps up the hospitable facade enough to offer Alex a glass of wine, and as our perturbed protagonist delays drinking, a rather gratifying lady-or-the-tiger effect comes into play. 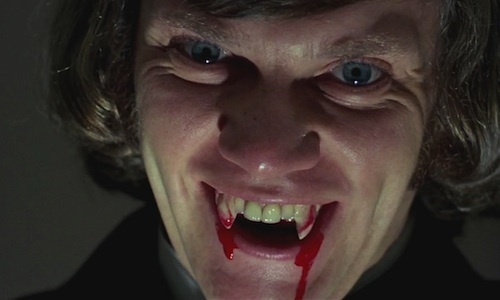 A Clockwork Orange is (at least ostensibly) concerned with the problem of moral choice, how our ability to choose between good and evil makes us human. Confronted with the man who has wronged him (a person who has been deprived of his own choice), does the host poison him in revenge? The answer is somewhat unexpected, but still appropriately cynical. I find it troubling that this movie, which purports to be about the choices that makes us human, is populated almost entirely not with humans but with shrieking, stuttering caricatures. The only characters in the whole film whose mannerisms are not directly intended to provoke either laughter or a surrealist effect of alienation are Alex, the focal point of Kubrick's (Burgess's, I should say) satirical concerns, and the cleric, who nevertheless plays mostly an unwitting straight man to Alex's mockery and later on as a mouthpiece for the rather obvious moral question at hand. This is the only explanation I can give for the film's popularity: it is not challenging. The scenes of violence are brief and accompanied by striking, inherently pleasurable cinematography and musical selections, as well as titillation for the younger crowd to which it appeals. The humor is unsophisticated and mostly sexual in nature. Nicholas Winding Refn's 2009 film Bronson contains all these elements and succeeds in many different directions. Kubrick makes his technical brilliance known in A Clockwork Orange, but his montages have never been more lucid, more easily deciphered. It is very hard not to roll one's eyes at the sight of Alex imagining himself as a Roman Centurion scourging Christ on the way up calvary. Virtually nothing is left to the audience; you've figured it all out by the time you're out of your seat. It's been a little while since I watched this movie, but it deserves more than to be filed away as just another afternoon passed pleasantly in front of the TV screen. I saw it perhaps later than expected, knowing that it was one of those so-called "underrated" films enjoying a healthy shelf-life on DVD and much beloved by casual cinephiles. I also knew that it was written and directed by Shane Black, the writer who brought so much pulpy life and lurid black humor to Tony Scott's The Last Boy Scout, which remains one of my favorite action movies. One of the first things you notice about Kiss Kiss Bang Bang is the degree of separation which Black imposes between the audience and the story. The main character, Harry Lockhart (Robert Downey, Jr.) narrates the film and makes frequent reference to cinematic convention, taking a ball-peen hammer to the fourth wall and nicking away at it merrily. Some might find this device annoying; it doesn't always seem necessary, and there are instances where I wished Harry would quit his tinkering with the film and get on with the story. 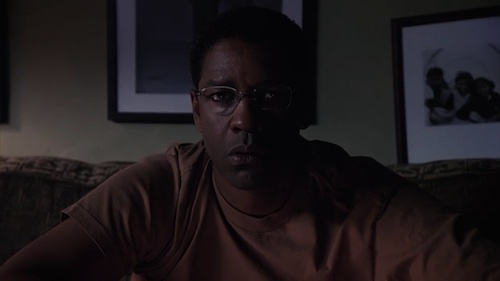 What really surprised me about this film, though, was the resonance that Black gave this seemingly arbitrary device. Make no mistake, Harry's narration and knowledge of being in a film are never explained, but by the time the credits roll, I came to an understanding of why Harry talks about this particular story this way. Much of the noir-ish plot concerns Michelle Monaghan's Harmony Lane, a childhood friend of Harry's whom we're first introduced to in a charming opening scene that gains a kind of wistful meaning in the finale. They bump into each other after many years at a party in L.A., and Harry seizes upon her sudden turn of bad luck to play the hero (which means pretending to be a private detective) and make up for missed opportunities. As expected in a script with characters as well-drawn as these, their feelings for each other are continually thwarted by not only the obstacles of the plot, but by their own short-sightedness and personal flaws. But Harry knows so much about what the audience wants, why would he tell us a story where the hero doesn't get the girl? And that's the sad, wise secret to the success of Black's script: Harry tells the story in this way, with his winking asides and distracted riffs on audience expectations, because he can't quite look himself in the eye. He has to crack wise and pretend it all didn't hurt. Sure, he has his fist-pumping moment of triumph over The Bad Guys in the climax, but it's not enough. It doesn't get him what he wants - only a murmured line from Harmony that she probably doesn't even remember. The jokey, wrapping-it-all-up coda is his meager substitution for the lovers' reunion he wishes he could include. All this is subtext, of course, but it wouldn't stick with me like it did if Black had spelled everything out. I think this is a great movie, with much more to offer than meets the eye. It seems obvious to describe the final chapter of this series as "magical", but that's the sort of emotion Yates' skillful direction drummed up, with an occasional, graceful touch that previous entries just didn't accomplish (not to slight the perennially underrated Azkaban, or the finale's sweeping, moody Part 1). Moments such as an urgent interview with the Grey Lady's ghost (Kelly MacDonald, a woman who seems almost unbearably earnest in every role) with the capacity to seem completely earnest in every role) have a greater gravity than in prior installments, the camera lingering on her blue, translucent face as she imparts the necessary information for Harry to locate Voldemort's prized MacGuffin. Unfortunately, the film still contains needless slapstick and daffy humor that serves only to undermine Yates' fantastically executed action setpieces; does every moment of resolved tension need a quip or punchline to lighten the mood before plunging into the next harrowing scene? These tonal oddities are thankfully overshadowed by an increased visual emphasis on the faces of the characters, their long, harrowing histories visible on their features as previous events take front and center stage. Perhaps the most immaculate bit of filmmaking in the whole affair is the much-anticipated revelation of Snape's character, which transcends mere exposition by assembling a montage of dreamy flashbacks, shot for the first time, new interpretations of footage from the previous films, and in one notable case, the addition of a new perspective on a frequently-revisited scene. One of the series' major weaknesses has always been the individual scripts which too often failed to emphasize seemingly trivial yet crucial moments that would gain significance in the plot's later episodes, choosing instead music montages and sandbox play within Hogwarts; the editing here is skillful enough to make you think the scripts have been subject to meticulous oversight from the beginning. The final ten minutes or so offer a bizarre dichotomy of quality that can be directly traced to attitudes about the necessity of strict adaptation. The showdown between Harry and Voldemort is extended to a breathless, high-intensity duel that ranges across the ruin of Hogwarts and shifts between several perspectives. This was a wise and necessary choice, since the anticlimactic final duel in the book took all of a paragraph, preceded by about five pages of stilted, expositional dialogue between the two archenemies. After the duel, and a wonderfully understated moment between the three leads, we're treated to a dreadful visualization of the novel's lame "19 years later..." epilogue, which offers nothing crucial to the plot or characters, except that, yes, everyone got married and had kids and gave them awful names and sent them packing off to boarding school, how sweet. Am I supposed to continue liking Harry with the knowledge that he named his kid Albus Severus? Doesn't he realized what awful adolescents the men with only one of those names turned out to be? The aging job done on everyone is abysmally terrible (did they do anything to Rupert Grint besides give him a beer gut? Sound off in the comments! ), and it's a sad, mawkish note on which to end the series, though not bad enough to negate the impact of the last two films, and the series as a whole, which won't disappear from public consciousness for many years. Best Show Ever: The Case for "Breaking Bad"
Given that I've spent a lot of time in the last week or so, leading up to tonight's season 4 premiere (10 PM EST on AMC! 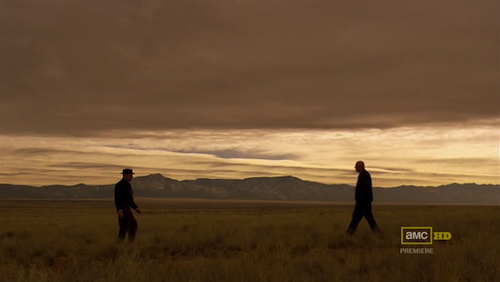 ), thinking about Breaking Bad, I figured I ought to try and squeeze a good blog post out of it. A few quick facts, for those hopelessly out of the loop: Breaking Bad stars affable, middle-aged TV star Bryan Cranston (formerly of Malcolm in the Middle) as Walter White, a genius-level chemist trapped in a high school teaching job which he initially supplements with shifts at a local car wash. He has a son with cerebral palsy (Walter Jr., played by R.J. Mitte) and he's losing interest in his marriage to Skyler (Anna Gunn). 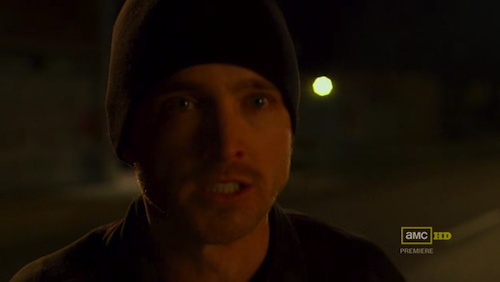 In the pilot, he's diagnosed with lung cancer, and turns to manufacturing high-quality crystal meth to provide for his family after he dies, with the help of a former student-turned-small-time-dealer (Jesse Pinkman, played by Aaron Paul). 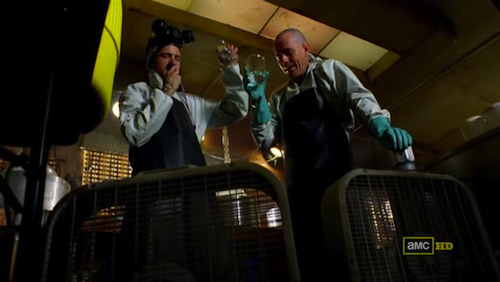 Season 3, which ended on a nail-biting cliffhanger for Walt and Jesse, ended last June. The show has now been off the air for over a year, and the much-lauded third season, in which the show defined itself as utterly unlike anything on the air now or ever, has sparked the discussion: is Breaking Bad worthy of being called the best TV show of all time? The main sticking point is David Simon's still-venerated Baltimore crime epic The Wire, which I will discuss here. First: I think that this question is a bit premature (but I'm going to talk about it anyway, because I want to). The Wire has five full seasons and a solid finale. Many consider the show perfect; though I admire it, I think it contains glaring flaws. Breaking Bad, on the other hand, has only two full, thirteen-episode seasons (the first was a brief seven-episode run). Also, it has taken some time to find its own voice: the second season is a remarkable work of television, but the third finds a groove that sets it apart. The Wire basically arrived on television fully formed. 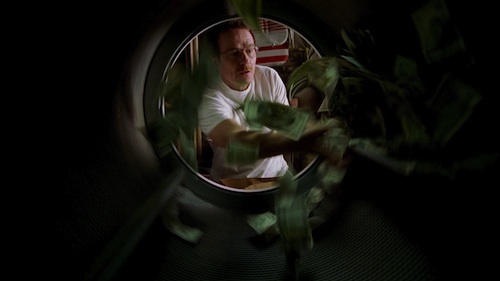 In time, Vince Gilligan's creation may prove to be a superior work of art. But the discussion will only get more interesting. So: what makes Breaking Bad a great show? I argue that it is the purest example to date of the sheer potential of television as an art form. AMC has marketed the show recently as an adrenaline-pumping thrill ride, and while those who have watched it know that the shootouts and explosions repeated in every spot are uncommon occurrences and scenes of urgent conversation and tense, occasionally funny confrontations are more frequent, the show's main appeal is its unpredictability. Here, a direct comparison to The Wire proves useful: Simon's show is an ultra-realistic take on the police procedural that overlays traditional dramatic narratives on his bleak view of a crumbling American metropolis. A canny viewer of the show knows that in all likelihood, the bad guy is going to get away in the end, the corrupt politicians are going to keep pocketing your money, and the detectives are going to keep drinking. Simon's editorializing and classical storytelling (the word "Dickensian" is thrown around by journalist characters in the final season) make the show compelling, but not unexpected. Breaking Bad, on the other hand, feels improvised (and it is, creator Gilligan has cheerfully admitted), but successfully. 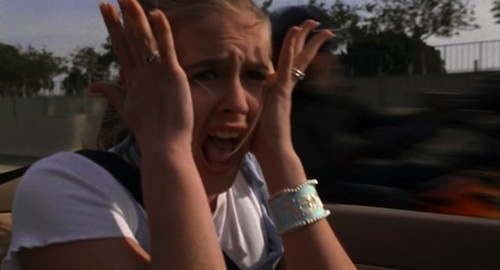 The second season made use of a recurring flash-forward device to build a sense of dread, climaxing in the finale's apocalyptic repercussions for Walt's actions. Though it was compelling, and there were surprises along the way, you had a sense of where you would end up. 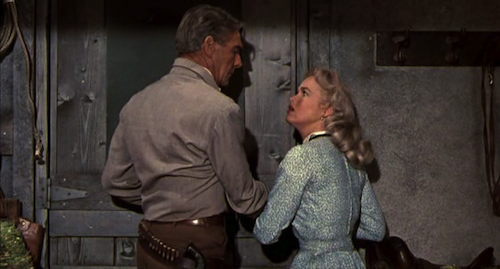 Not so in the third season: a threat is introduced in the very first episode which has the feel of an over-arcing plot thread, but at the end of the very next episode, the same threat comes knocking on Walt's front door. The writing staff toss aside convention and classical story arcs for the sake of constant unpredictability and even an episode which stops the plot dead in its tracks to give us a one-act play peeling back the layers of our heroes (in the loosest sense) even further, the only anchors for the audience remaining the astonishingly well-developed characters of Walter White and Jesse Pinkman. So what makes Breaking Bad better than The Wire? For me, it's simple. Any blogger or essayist waxing effusively about the virtues of Simon's benchmark show will inevitably drop the phrase "novelistic" into their discourse. To be sure, TV is not the same as cinema. But Simon is not a born filmmaker, and he knows it. The series is lacking in visual energy and unfolds, indeed, like a novel, each episode a chapter (Simon even includes an epigraph quotation after the theme song). The show is dense with procedural detail and long conversations in which even the most diabolical hood rat proves capable of uttering a profound analogy for the broken political systems of Baltimore. Does this make The Wire a bad show? By no means. But it's not pure television: it's the work of a print journalist with a message so urgent and well-formed he didn't see the need to examine the medium's particular strengths and weaknesses. I often think that Simon's writing style, in which everyone speaks with his distinctive, literary voice, would have been better suited to a massive crime novel. But there's also the argument that The Wire, along with Arrested Development, broke down the conventions of conservative, episodic television (the police procedural, or the sitcom in AD's case) and showed the potential for invention within the boundaries of an hour-long drama. But I would also argue that Arrested Development's importance to the existence of Party Down or Community does not necessarily make it better than either of those shows. Just as Breaking Bad's endless narrative experimentation and boundless visual energy elevates it above the comparatively conservative, occasionally preachy tone of The Wire (a character introduced in season 3 basically exists to function as Simon's mouthpiece and give monologues about how broken the system is, a cringe-worthy misstep). If all that separates television from cinema is the convention of episodes rather than individual short films (see FX's Louie), then the episodes themselves can defy narrative expectations in a way that feature film couldn't, at least without becoming "experimental" and losing its audience. Argument in a nutshell: The Wire proved that it was possible to make a TV show that wasn't just trying to be entertaining TV. 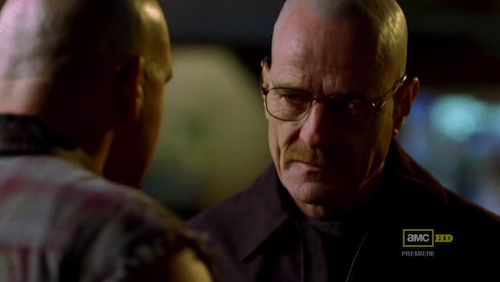 Breaking Bad establishes itself as a show that's not trying to be a movie, or a novel, or a theater piece. It's trying to accomplish the most within the medium of television by taking advantage of its strengths and remaining constantly restless, looking for the next big leap into what the audience won't see coming. In this way, it's a groundbreaking show, and in a way that The Wire and AD, each existing half-in-half-out of well-trodden TV territory, never were. As a feverishly intelligent neo-noir experiment by a Movie Brat at the top of his form, it's comparable to De Palma's Femme Fatale, and though it lacks some of that film's wicked humor (a slow push-in on a teddy bear's face to the re-recorded Herrmann score is an obvious exception), for most of its running time, Cape Fear acts as a brilliantly, visually alive conversation about the movies. Scorsese's usual preoccupation with his favorite leading man is present here, but far more interestingly so as he uses the unstoppable Max Cady (the accent is great, and De Niro stops thankfully short of a Mitchum impression) as a probe with which to dissect the Hollywood thriller. The Peck and Mitchum cameos are also much more than respectful homage to a bygone era, as their minor characters both function as unhelpful (and potentially harmful) members of an ineffective system which cannot act to protect Sam Bowden and his family from a cunning lunatic. One of Scorsese's many changes to the material makes Nolte's Bowden a hypocritical two-timer who sneaks around with a young legal secretary and, many years ago, sabotaged Cady while acting as his defense attorney. "If you saw what he did to that girl!" he pleads self-righteously. Later, he reads the book of Job in bed and indirectly compares himself to a humble man of God who had everything taken away from him. Relentlessly complex, Cape Fear doubles in on itself over and over again, a film about how people re-interpret themselves and their situations through art. In the most captivating scene (apparently improvised in one take), Cady lures Danielle Bowden (a young Juliette Lewis) to her high school basement auditorium, where he emerges from the shadows of a Candyland-like set to prey on her insecurities and emerging desires, updating the black-and-white expressionism of The Night of the Hunter with gaudy colors and characters both fully conscious of the sexual charge in their conversation. In Scorsese's post-modern world, everyone knows too much (the psychopathic Cady talks at length about how he educated himself in prison), and struggles to interpret the world in a positive way for themselves. The image of Bowden's bloody hands washed clean easily in the surging river demonstrates how simply the appearance of a thing can be manipulated. Small observations: one of the best title sequences I've ever seen. I often wish that there could be a film with modern actors that really had the look and feel of an older, Technicolor film. This, made 20 years ago, is pretty close. My favorite film by Scorsese, and after The King of Comedy, his most unfortunately neglected. One of those '90s nostalgia-teen-flix that just slipped through the cracks, I guess. Unlike some unpleasant trips down memory lane (10 Things I Hate About You), though, this is consistently funny and has charm to spare, thanks mostly to the excellent cast. There really was never a more likeable heartthrob than Paul Rudd. What I like most about it is that instead of relying overtly on the central conceit of Cher as Emma-esque matchmaker, the film veers off into an episodic, peppy, zany film in which no personal conflict goes unresolved for too long, even in the climax. Everyone's just having too much fun to be mad at each other, even when the plot demands it. It's overflowing with goodwill. Fun times indeed. I love Frankenheimer's original, with its own brand of nail-biting suspense that's not really attempted here, as much as the next guy, but Demme's remake is easily the superior film - in fact, it's one of the best science fiction films in recent memory and among the top offerings by Hollywood in the last decade. Demme's mastery of tone is staggering; he is capable of shifting from frantic paranoia to somber isolation and back in a single scene. Most impressive is his use of the film's off-kilter, schizophrenic point of view to enhance the emotional alienation of his characters: a conversation between Major Bennett Marco (Washington) and a prospective love interest (Kimberley Elise) - who's just invited him to her absent cousin's apartment after only a brief, tense conversation on the train - is shot with a surreal, centric framing that makes the scene dreamlike, as if the notion of a woman taking such forward interest in a quiet, shell-shocked Gulf War vet is fundamentally absurd - at least from Marco's point of view (later, a frenzied bedroom scene of accusations and revelations grants Demme's direction added significance). Amidst the skillful dystopian satire and disquieting fades to black remains Demme's usual humanity and heart, as Liev Schrieber's Raymond Shaw takes time during a crucial third-act scene to tearfully entreat Marco "We are friends, aren't we? I want to believe we are." The world of this film feels lived-in, casual. Demme never takes time to point out that the United States is in a default state of martial law - it's the sort of realization that creeps up on you as the story progresses. Sound bites and interviews swirl around Marco as he marches with furrowed brow through the mania that envelops him. Liev Schrieber has the look of an actor from Hollywood's bygone days. Meryl Streep is magnificent. This is a great film.